The best feature of this jacket is its material. It was made with 100% pure cow head leather jacket. As you can already see, it has got a YKK zipper on its front closure. 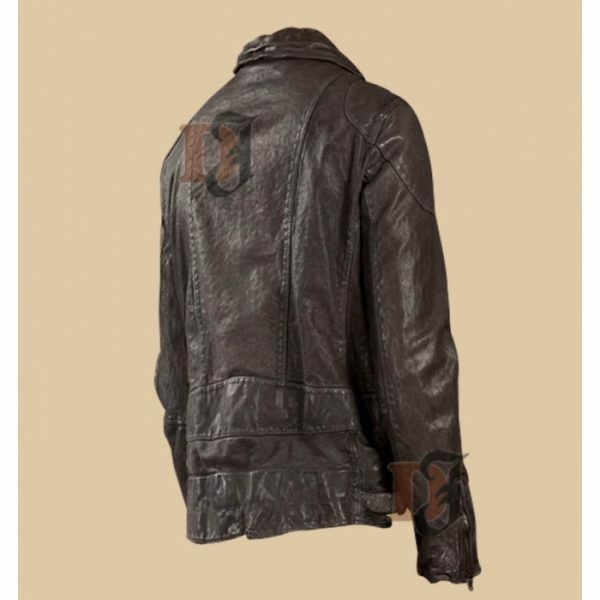 Polyester lining inside keeps your body warm and at ease during harsh winters. 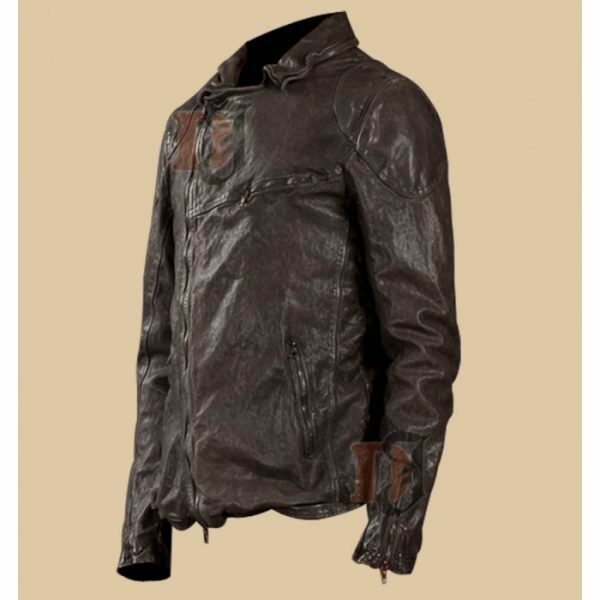 This jacket is 100% screen accurate and you will get same product as described on this page. There is one pocket on the chest height while other two are available at the waist level. It has stylish collar attire. 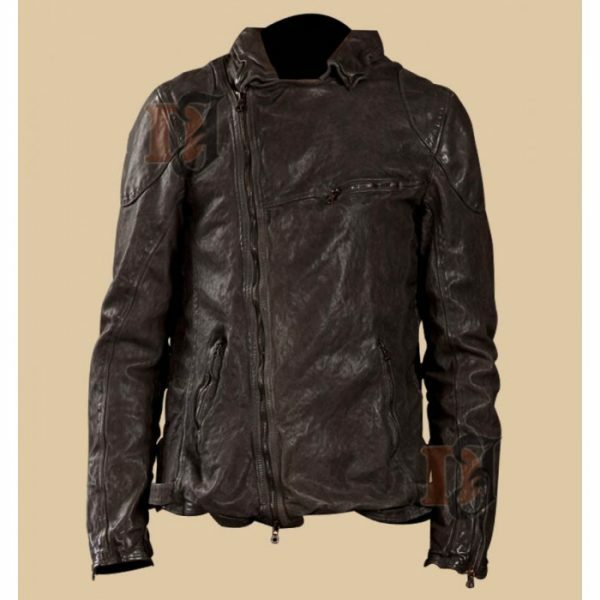 Stunning Dark Brown Distressed Leather Jacket Apparel for Men gives a distressed look.